Little Brother Outfit by TheSouthernCloset101 at Nicky's Blog. Hurry! Limited time offer. Offer valid only while supplies last. 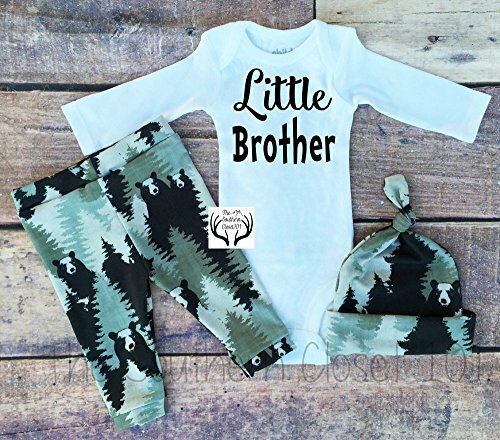 --WORDS ON BODYSUIT, Little Brother --COLORS OF FABRIC, Black,Dark Green and Lighter Green. THIS LISTING IS FOR, 1 BODYSUIT 1 PAIR OF LEGGINGS 1 HAT.